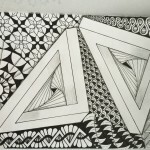 I realized today that I’ve posted some work as projects (not tagged) that may never see light of day unless I blog them! 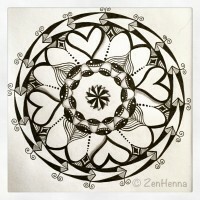 First, my Valentine’s Day Mandala here – it was done on Valentine’s Day but wasn’t intended to be a nod to the day. And then lo and behold…hearts. 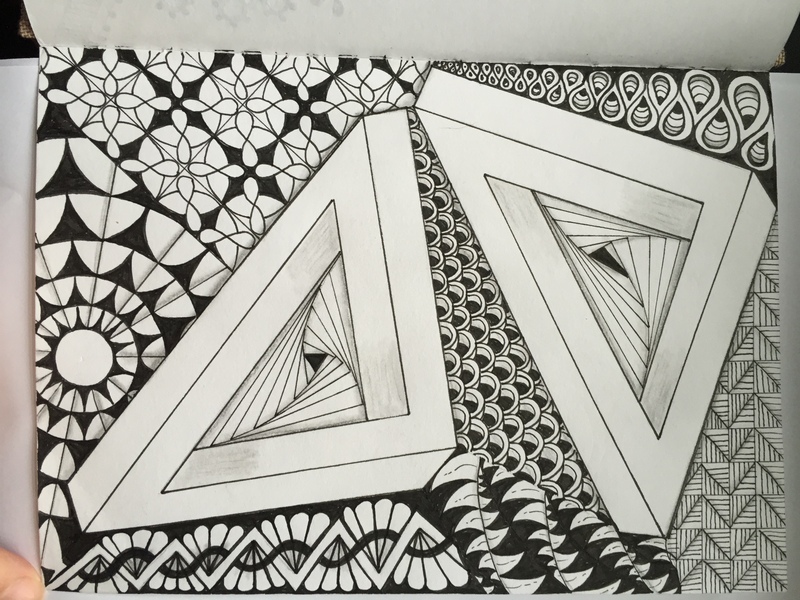 Second, this Impossible Triangle was so much fun. 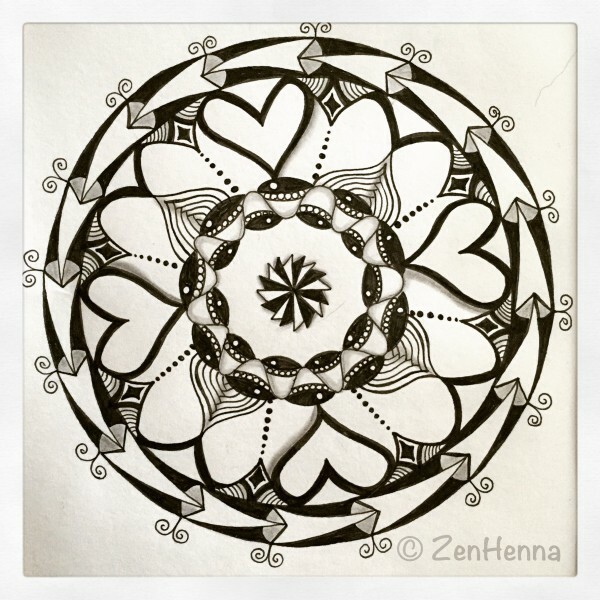 Escheresque designs fascinate me and I may take on more of these in the future. 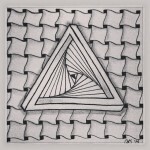 This one was a combination of two impossible triangles and a whole bunch of other tangles. 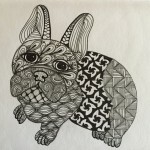 Lastly, for today, a tangle of my favorite dog ever–my French Bulldog, Spike. More to come, but this feels like enough for today.